Looking for a cozy place to hang your hat in Richardson? 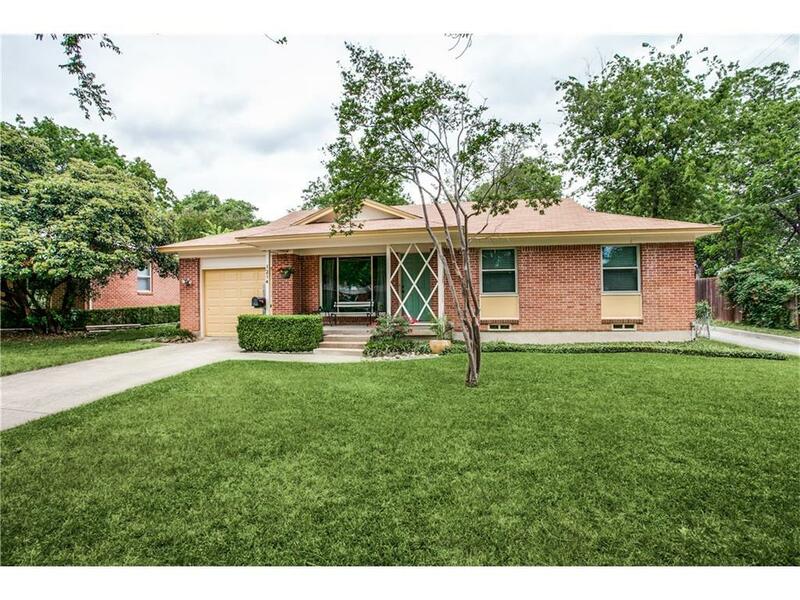 Located just minutes from Cottonwood Park and award-winning Richardson High School, this cute, attractively updated mid-century home offers an efficient floor plan with plenty of room to spare. The eat-in kitchen is bright and airy, boasting tiled floors and back splash, a pristine gas cook-top and a breakfast bar. The bathroom features a beautiful step-in shower with a tiled archway overhead. Relax on the cute front porch or step through the sliding glass doors in the dining area to sit beneath the ceiling fan on the covered back porch. With shopping and restaurants close by, this is an ideal house for efficient, streamlined living!